The video below shows that it is possible for a TiVo Premiere DVR to manually record without TiVo service with at least one software version. The software version is 14.8c. Many TiVo software versions will allow this for short periods of time without internet access, but at the time this video was made, the Premiere had not connected for an update for more than 12 months. It would be quite difficult to currently find a Premiere with this software version. For this to work, a used TiVo would need to be found on ebay, at a yard sale, or some other source that has a software version that allows it. Also, the Premiere with this uncommon software version would need to have been disconnected while the account was in good standing, and it would need to have remained disconnected. If a TiVo is found with the above conditions, there are undesirable side effects of doing this such as the clock and cable TV channel lineup being wrong. Another legal option to use a TiVo without paying for service and not having undesirable side effects is to find one with the status set to evaluation. A good alternative to using a TiVo as described above is to use a home theater PC (HTPC) with open source software. MythTV and Kodi are excellent choices for software that can be used to record and view TV shows. Open source software is not always an option, so it is important to research the requirements and determine if it is compatible with your TV content source. 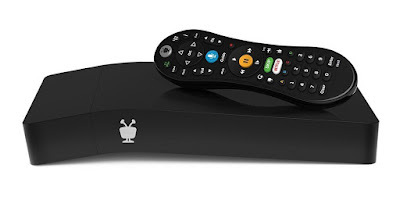 If the above is not an option, a TiVo with lifetime service with a high initial price can still save money over time as compared to renting a DVR from the cable company.